Private equity boss Guy Hands is back in business with his £825m acquisition of Four Seasons, the UK's largest chain of care homes. The deal’s a steal for Terra Firma, which has acquired Fours Seasons’ 445 care homes and 61 specialist care centres at a vastly knocked down price. But it’s bad news for existing shareholders. Back in 2010, Four Seasons was valued at £934.61m by Knight Frank. The £825m acquisition represents a significant loss, taking share values down to zero or nearly zero. And it’s not just large corporations taking a hit, it’s bad news for the taxpayer too – state-owned Royal Bank of Scotland owns 40% of the ailing care home chain. But, for Four Seasons, with a £780m debt mountain on the balance sheet, it was a case of ‘the devil’ or ‘the deep blue sea’. And once the deal clears in mid July, all the firms’ liabilities will be paid off, albeit with heavy write-downs reducing the total debt sum to £580m. This is Hands’ second major acquisition of a troubled firm in the last two months. Terra Firma bought The Garden Centre Group (formerly known as Wyevale) in March. Why the focus on struggling firms? It’s a case of once bitten, twice shy for Guy Hands, who lost a pretty penny on his massively indebted buy-out of EMI. 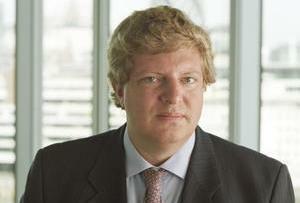 Backer Citigroup snatched the firm out of Hands’ hands in February 2011, and Terra Firma was reported to have lost $2.5 billion on the deal, about a third of its investor capital. It was also around 60% of Hands' personal net worth. Now, Hands is operating a ‘buy cheap, sell big’ investment policy. And, despite struggling with mounting debts over the past three years, Four Seasons may prove a decent bet for Hands. It’s the UK’s largest independent health care provider, operating in an industry worth £15bn. And, with the population in the UK living longer, it’s a high-growth market. The care home industry is set to grow by 3.1% per annum over the next 10 years, reckons Terra Firma. But could this acquisition be a poisoned chalice in disguise? After all, private equity has had its fingers burned in the sector before. The collapse of Southern Cross hit Blackstone hard last year, and Four Seasons itself proved hugely troublesome for the Quatari wealth fund that paid a massive £1.4bn for it six years ago. But Four Seasons is a very different business today: not only did it acquire some 140 of Southern Cross’ care centres after the meltdown, it also owns around 60% of its homes limiting its exposure to rental costs. An enviable position with property prices at an all-time high. One thing’s for sure: Guy Hands may grow a few extra grey hairs of his own as he waits to see if this gamble will pay off.